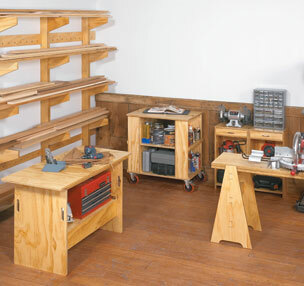 A great workbench needs to have a couple important qualities. First, it has to be solidly built. You don’t want it sliding or moving around as you work. Second, it has to offer options for clamping a workpiece securely in place. 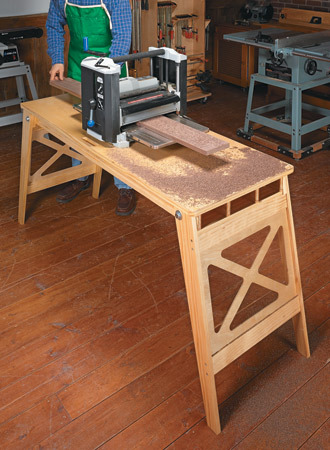 This way, you don’t have to worry about the workpiece shifting as you rout, sand, or cut. 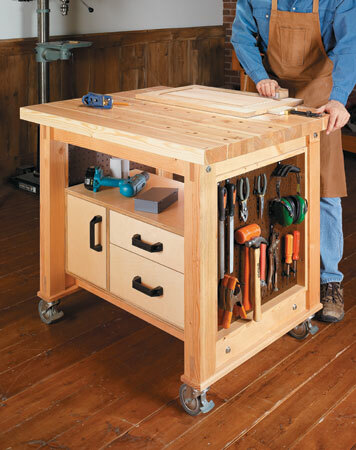 The workbench shown above meets all these requirements — and more. 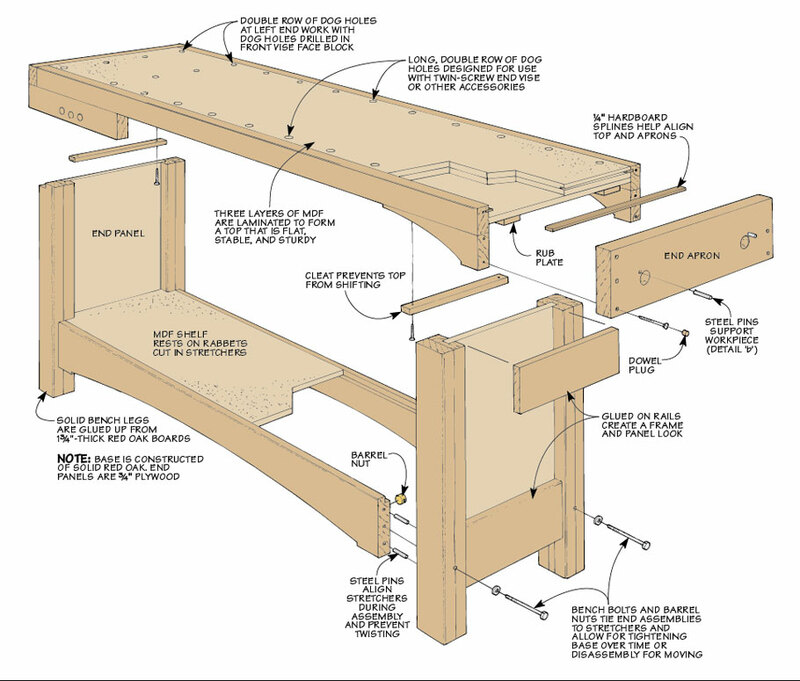 It’s built with red oak and medium-density fiberboard (MDF) for strength and stability. And the knock-down hardware used to assemble the base allows you tighten it with changes in humidity (or disassemble it if you ever need to move it). But a solid bench isn’t of much use if you can’t hold a workpiece securely. 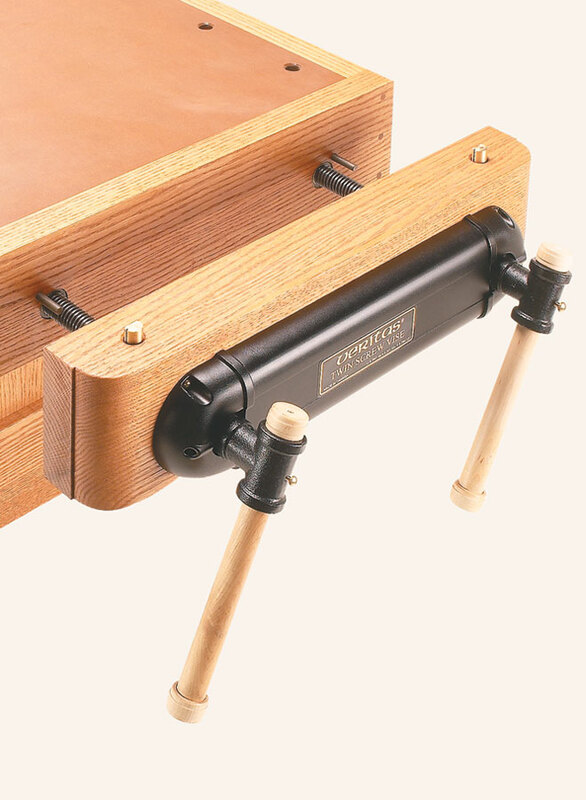 So this bench incorporates a front vise and a unique twin-screw end vise. 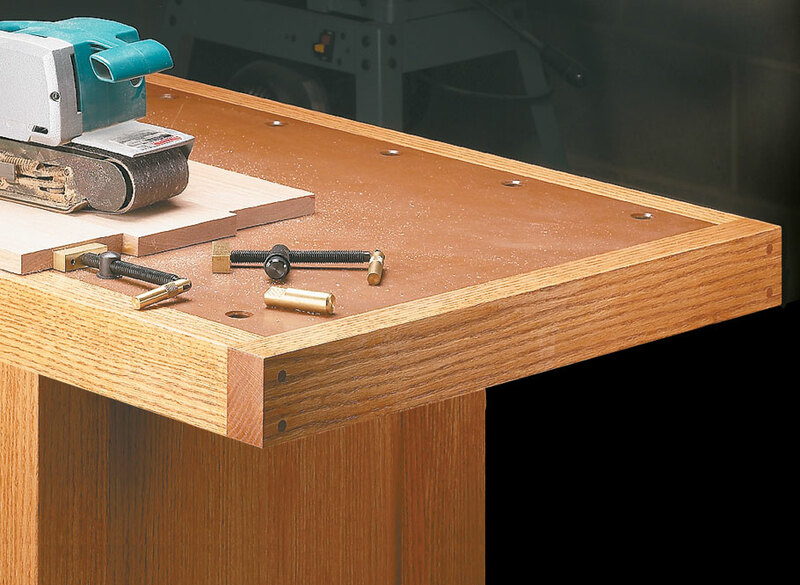 Along with the dog holes in the top, they provide an unlimited number of clamping options. 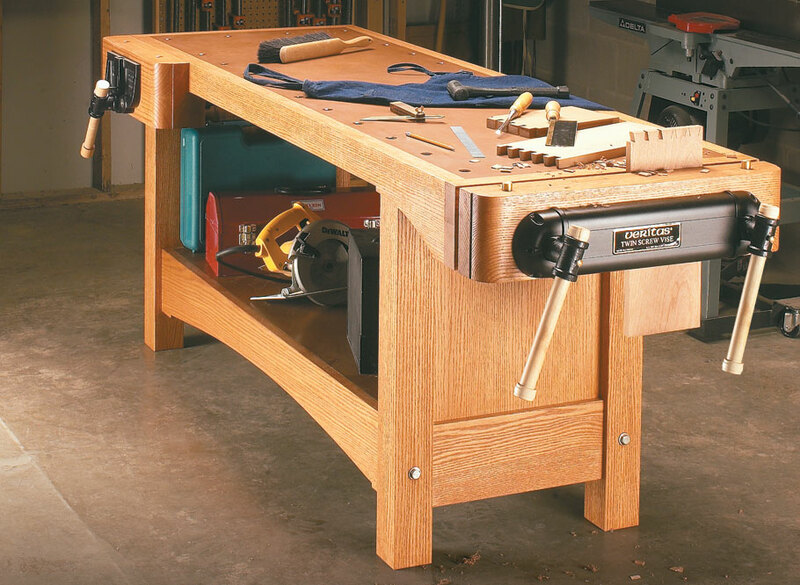 This just might be the last workbench you’ll ever need.